This Friday evening is the tribute and fund raiser for the Shane McConkey Foundation. Shane McConkey was a professional extreme skier and base jumper who appeared in several skiing films. 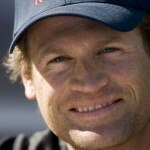 McConkey died on March 26, 2009 while performing a base jump on skis. McConkey had trouble with his ski release mechanism during the jump. He never opened his chute. He left behind his wife and two children. After McConkey’s death, a foundation was started in his name to carry on his legacy “through random acts of kindness and charitable giving and to inspire others to make a difference in the world at large”. The Pain McSholonkey two-day event is described as an action packed on and off-mountain fun time with pro and amateur skiers competing side by side. The “Legacy Gala” kicks off at 7:00pm in the Olympic Lodge on Friday, March 23. This is a closed party. The real fun begins on Saturday at 9:00am for the “Chinese Downhill” from the top of KT22. This is a mass start, with the first one down declared the winner. All skiers must use blade skis. Blade skis are 3 to 4 feet in length and 6 inches wide. The next event is the big mountain freestyle where skiers compete for style points over a small cliff. Once again, skiers will be using blade skis. After lunch on the KT Sun Deck, is the wacky fashion show and costume contest. The “After Party” at the Olympic Valley Lodge is open to the public for $30 dollars at the door.